​With features and propotions that make it instantly recognisable, NEW CITROEN C3 has an optomistic prescence and personality. Its strong, raised face and fluid curves, chunky side details and bold graphic elements encapsulate energy and refinement in one fresh, contemporary shape. The C3 stands out everywhere, because it has real character. Each deatil contributes, from the lighting signature wit LED daytime running lights to the wheel arch extensions, side airbump panels and stunning 3D rear lights clusters. Unique and assertive, New Citroen C3 doesnt Blend in! Unmistakable at a glance, the Airbump panels on New Citroen C3 protect its body work from dents and scuffs. An exclusive Citroen innovation introduced on Citroen C4 Cactus, the panels consist of 40 air-filled capsules made from tough polyurethane which can feature red or white surrounds, depending on the chosen roof colour. New Citroen C3 is available with or without Airbump panels. Choose the optional panoramic sunroof for NEW CITROEN C3 and your journeys take on another dimension. Visibilty for everyone is transformed and natural light pours in, making the most of the changing elements. An integral sunblind allows you to fine tune light levels when you want. Elagantly simple and beautifully made, NEW CITROEN C3's dashboard is shaped by the Citroen Advanced Comfort programme. This means perfectly placed controls, crystal clear displays, tactile materilas and the mulifunction touchscreen placed right at its heart. You'll find functional, spacious storage ideas throughout NEW CITROEN C3. The central storage compartment features USB and aux sockets, while the glove box has a capacity of 6.25l, keeping your interior clutter-fre. Front doors also have good size pockets and the boot volume is 300l. NEW CITROEN C3 is filled with innovative technology that is intuitive, simple and seamlessly quick. Every advance is there to fit right into your routine and enhance the everyday. Life is now in widescreen. Amongst its useful and inspiring range of onboard technolog, NEW CITROEN C3 brings you a world first. ConnectedCAM Citroen is an integrated full HD Camera with a wide 120 degree angle view, 128GB memory and GPS. Neatly postioned just behind the rear view mirror, the camera records everything the driver sees ahead. With a single click you can take a photograph or record upto one minute of video footage, sharing it on social media, emailing it to friends or simply keeping it to capture the memory. The free ConnectedCAM Citroen app is looking out for you in many ways. It has a geo location function that transmits your GPS coordinates each time you stop, which could prove invaluablein the event of an accident.  Additionally, if your involved in an impact while travellin, ConnectedCAM Citroen automatically saves videofootage from 30 seconds before and 1 minute afterwards. Designed to make life simple and stress free, NEW CITROEN C3 features the technologhy and design that makes every day journeys enjoyable, safe and effortless. Citroen Connect Nav Navigation controlled by voice recognition or through the 7" touch screen is a prime example. Delivering real time traffic information, location and pricing for car parks and fuel stops plus weather news, its a perfect companion for every trip. With mirror screen function you can connect your smartphone and access compatible applications from the 7" touchscreen. Beautifully made and full of fine details and attention to deatil, the standard interior ambiance of NEW CITROEN C3 is welcoming and contemporary. There are also 2 new optional ambiances encompassing contrasting seat trims, dashboard elements and door straps. 1: The "Urban" red ambiance creates a rich dramatic contrast between dark and bright. The vibrant red dashboard surround and stitching bring out a dynamic character and sport feel. 2: The "Hype" Colorado ambiance makes full use of high quality, soft touch materials and refined design. The tactile, bi-tone leather steering wheel is just one desirable feature to savour. Around the interior of the NEW CITROEN C3 you'll discover details inspired by architecture, interior design and even tradional luggag, such as on the beautifully finished overstitched door straps. If NEW CITROEN C3 crosses a solid or intimitent white line without the indicators being activate, the lane departure warning system sends clear visual and audio alerts to the driver. This system reminds the driver to take a break on a long journey, for example after 2 hours at average speeds of over 40mph. A really useful safety innovation on quicker roads and motorwatys, the blind spot monitoring system alerts the driver to vehicles approaching from behind in the blind spot, using an orange warning light mounted in the door mirror. Designed to recognise speed limits and display them clearly to the driver, recorded figures can then easily be setin the cruise control and speed limiter. The technology works across all speed ranges. Because Keyless Entry and Start recognises you as you approach, you can unlock, start or lock NEW C3 while the key is still in your pocket or bag.